On its twentieth anniversary, we are once again supporting the Salón Internacional de Turismo Gastronómico Xantar (International Gastronomy Tourism Fair, Xantar) to showcase our product portfolio, which we will present through a packed activity calendar. Yet another year, from 6-10 February, Expourense will become the epicenter of gastronomy in Galicia with the celebration of the Salón Internacional de Turismo Gastronómico Xantar, which is celebrating its twentieth anniversary this year with the most international activity programme to date, bringing together renowned chefs from 8 different countries to offer live cooking workshops. 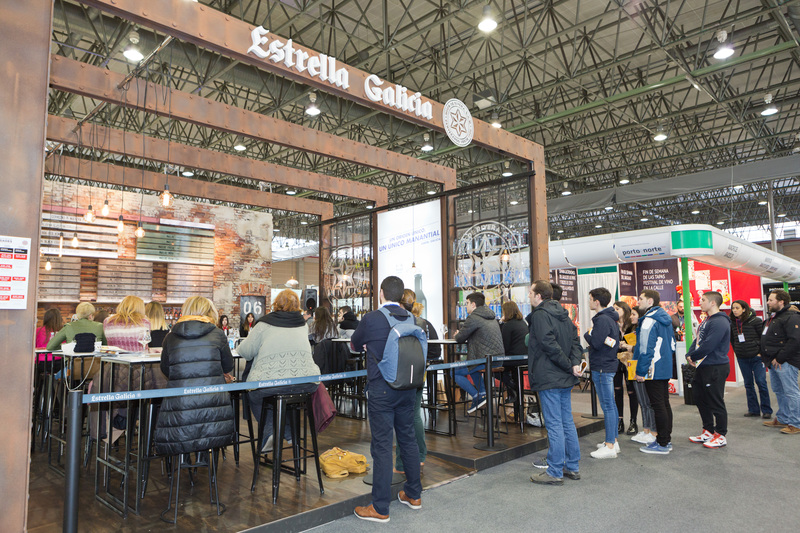 This is the only international Gastronomy Tourism fair in Spain that, in its 19 year history, has been adding value to quality agro-food products, development and professional service, becoming a reference for the best wine and gastronomy destinations. At Hijos de Rivera, we will once again use this context to offer a complete multi-product stand from where to present our products to the public. Tastings and talks are just a couple of the activities that we will offer on our stand throughout the five days of the Xantar fair, allowing visitors to discover our products first hand. 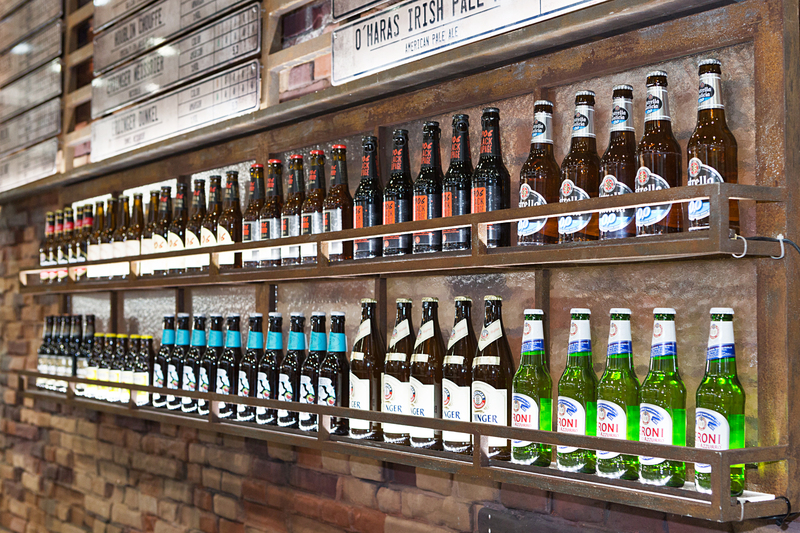 Our distribution beers will be in charge of inaugurating our activities on the first day of Xantar 2019, Wednesday 6 February, with tastings of such internationally known beers as Brewdog (1:30pm), Erdinger (6:30pm) and O’Hara’s (7:30pm), all led by Alfonso Prego, Hijos de Rivera brand ambassador. Maelocciders made in Chantada (tastings at 12:15 and 7:30pm) and Ponte da Bogawines from the D.O. Ribeira Sacra (tastings at 1:30 and 6:30pm) will be the centre of attention on Thursday 7, led by the sales team member Enrique Naranjo and the eonologist Patricia Pérez, respectively. The house beers will be the absolute centre of attention on Friday 8, with activities that will focus on the beer family 1906(tastings at 12:30pm and 7:15pm, and pairings at 1:30pm) and the Fábrica de Cervezas project (tastings at 6:30pm). There will also be special attention paid to the best beer service with a workshop that will be held at 8:15pm. Fernando Iglesias, head of Beer Culture at Hijos de Rivera, will be in charge of leading these activities. On Saturday, the stars will be the Hijos de Rivera distribution wines with tastings of Agro de Bazán (1:00pm, led by the member of the sales team Cristina Domínguez and the oenologist Mauro Rodríguez) and Sanclodio (8:00pm, led by the oenologist María Vidal Fidalgo), and the tasting of “Vinos Singulares” (Singular Wines) during which the participants will be able to taste wines such as Belondrade & Lurton, Capellanía and Dalmau (9:00pm, led by the wine Ramón Fontenla).